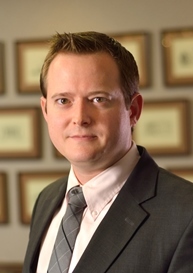 Matthew Pruitt is a member of the firm’s transactional law department where his practice focuses on matters such as business formation, contracts, real estate, intellectual property, entertainment law, business litigation, family law, and estate planning, to name a few. Matthew attended law school at the Oklahoma City University School of Law. During law school, he studied international law for a semester at Nankai University in Tianjin, China. Prior to law school Matthew attended Brigham Young University where he obtained a Bachelor of Fine Arts and Communications degree. He served as a reporter for the BYU student newspaper writing articles for the Arts & Entertainment desk. Matthew has extensive experience in the field of entertainment where he has worked both as an agent and a manager in the music business. Matthew spent two years on the management team of multi-platinum rock band The Killers. He subsequently founded the Hungry Tiger Agency, a booking and management agency for musicians, which helped launch platinum rock band Imagine Dragons to success. Dedicated to community service, Matthew currently volunteers for Nevada Legal Services and as a Cub Scout den leader. He spent two years as a service missionary in Cebu, Philippines prior to attending college and speaks fluent Cebuano and conversational Tagalog. Matthew is an avid hiker and musician.